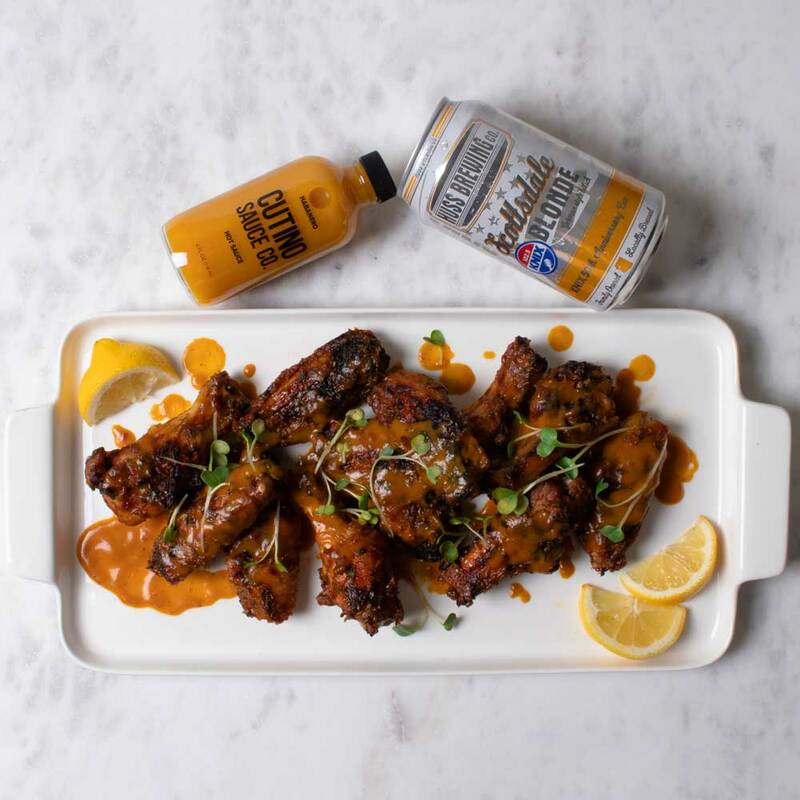 Beer Mustard BBQ Chicken Wings - Cutino Sauce Co.
1. In a large bowl squeeze the limes over the chicken, adding 1/2 cup of salt & enough cold water to cover the wings. Let sit covered for 1 hour. 2. In a medium saucepan over medium-low heat melt butter. Then add brown sugar, honey, remaining 1 Tbsp salt, white and black peppers whisking slowly until incorporated. Add the remaining ingredients and simmer on medium for 20 minutes. Stir occasionally to preventing scorching. 3. On a hot grill, cook chicken wings for roughly 4 minutes on each side, achieving a nice even char. Then move the chicken to the coolest spot on the grill & baste with the sauce. 4. Flip the wings an continue to apply sauce until evenly coated. Place the wings in a clean bowl and toss in the remaining sauce. 5. Enjoy with plenty of friends & beer!